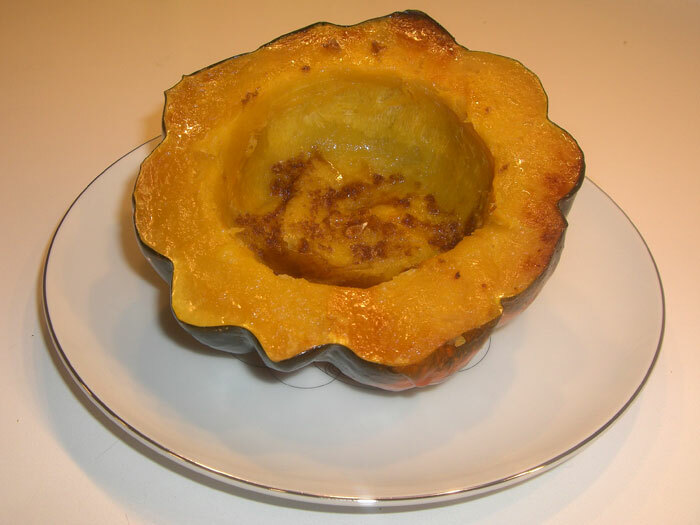 This is an acorn squash, but you can use these instructions for any type. Just adjust cooking time for the size. Brush cut side with olive oil and place face down in a heavy roasting pan. Bake at 375 for 30 minutes (+ or – based on size). It is ready when you can insert fork. Season to taste- we like with a little butter, a sprinkling of brown sugar (don’t use too much), and a dash of salt. The roasting brings out the delicious flavor of the squash. This is a great winter treat!